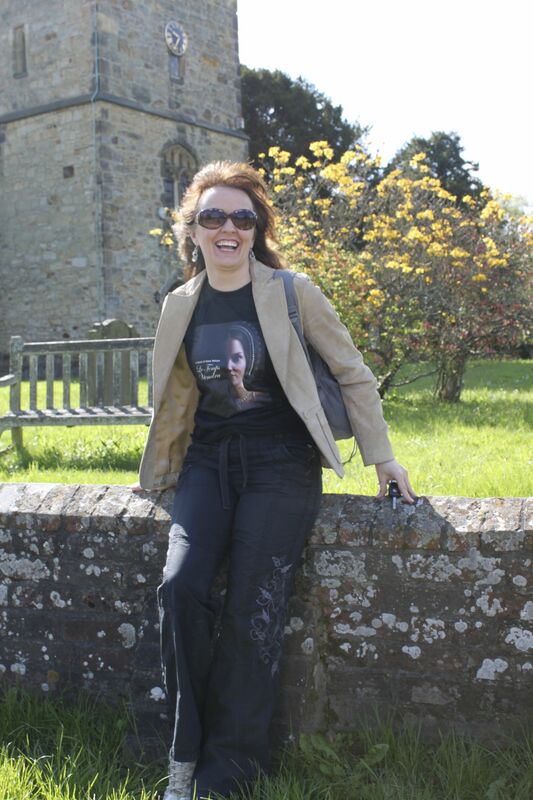 All aboard for the first stop of the virtual book tour of In The Footsteps of Anne Boleyn! We have two copies of Sarah and Natalie’s deliciously written, fact-packed, best-selling book to give two lucky passengers. To be eligible, just post a comment at the end of the post. For as long as I can remember, I have been fascinated with the dimension of time and have delighted in reading about the theories that try and make sense of it. There are, though, many more questions than answers: Does time even exist? Is time just an abstract concept? Is time linear? Can events occur outside of time? Is it possible to go back in time? Alongside this fascination, grew a deep connection with the past; I hear its velvety whispers and feel it intently, each and every day. But never more so than when I’m standing in an ancient building, which has witnessed the ebb and flow of life for hundreds of years, where the walls echo with the footsteps of its former inhabitants and their stories are gently carried in the air. I am intrigued and excited by the idea that when we stand on the very spot where a stranger from the past once stood, it’s only time—and not space— that stands between us: time, which we know so little about. It’s here, in these spaces where history speaks to me, where the past suddenly seems within reach, where it becomes something I can almost touch. My love of history and of old buildings, coupled with my passion for Tudor history—in particular, Anne Boleyn’s story—led to the creation of my history website, On the Tudor Trail, in early 2009. At the time, I was also in the middle of planning a big ‘Tudor pilgrimage’ and was desperately searching for a list of surviving locations that Anne had visited; I wanted to walk in the footsteps of this remarkable woman and see things that she’d once owned or touched. But apart from finding mention of the well-known places like Hever Castle, the Tower of London and Hampton Court, I found very little. So I pledged that I would start my own list and make the information available to other Anne Boleyn enthusiasts, who wanted to follow Anne’s trail into the past. And so the journey began, almost five years ago. For me, the transition from website to book was a natural one. 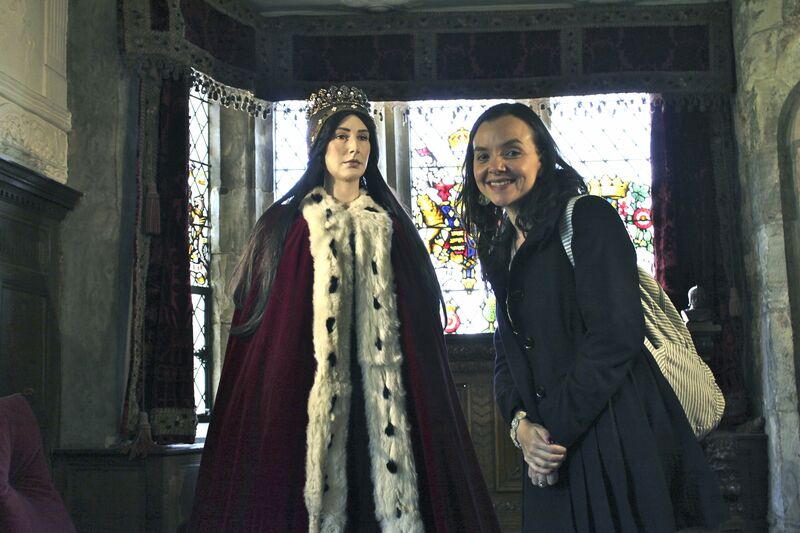 Over the years I’d acquired a great deal of knowledge about the many houses, castles and palaces that formed a backdrop to Anne Boleyn’s life and researched what artefacts survive connected to her. Then, in 2010, our love of all things Anne and Tudor brought Sarah Morris and I together. We began corresponding regularly and soon realised that by sharing what we’d each learnt on our separate historical journeys, we could produce something fresh and unique. I hope you’ll agree that we’ve succeeded in our mission. 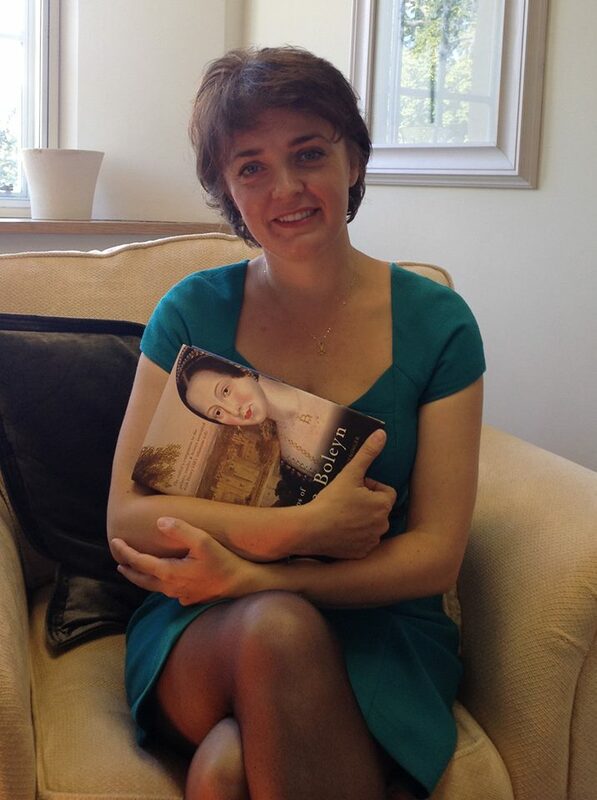 My hope is that by the end of our book, you’ll feel closer to Anne—the woman, the mother, the wife and the queen. I hope she will cease simply being a character on a page and emerge instead as the fiercely intelligent, complex and unforgettable woman that she was. In August 2010, my life changed forever. I was swept up in my own adventure of a lifetime, compelled to pen a novel which, at its heart, tells the intimate story of Anne Boleyn’s innocence. Le Temps Viendra was to be an up close and personal account one of the most dramatic love affairs in English history. As a new author, I knew my mantra was to MAKE.HISTORY.REAL and I was determined that historical accuracy would be the bedrock of this fictional biography, telling the untold story of how Anne was betrayed and abandoned by the man who spent years pursuing her relentlessly. I’m not a professional historian. This meant that to achieve my goal, I had to research many hitherto unfamiliar aspects of Tudor society and the Henrician court; from how courtiers danced and dined, how they hunted and reverenced each other, and of course, I needed to become intimately acquainted with the palaces and houses that formed the backdrop against which Anne’s story unfolded. I not only wanted to understand how such buildings were laid out, how the rooms were used and flowed from one into the other, but also every detail of how they were decorated. Such detail was essential, for I wanted anyone who was reading the novel to be able to close their eyes and recreate each chamber in their minds eye, to smell the scents that would fill the nostrils, the textures that one might reach out and touch. In the process of attempting to create a vivid sensory picture for the reader, I became intimately familiar with several of Henry’s great houses. So familiar in fact that I reached the point where I could walk through them in my imagination, progressing from chamber to chamber with the same familiarity as if I was greeting an old friend. Eltham Palace, Greenwich, Hampton Court, the royal apartments at the Tower of London, all became like my second home, and whilst modern day Calais melted away, in its place the long lost Tudor town rose up from France’s most northerly shore. It was if I were rediscovering a whole new facet of Anne’s life. As I filled the canvas with colour and texture, it felt as if I were rediscovering a secret which breathed an extraordinary new life into my understanding of Anne’s story. I was enraptured, and found myself approaching each new location with great anticipation and excitement. Although much of the material uncovered was woven into the story of Le Temps Viendra – indeed all of the location-based, architectural details you read about in the novel are rooted in fact – a good deal more remained unused. It was an easy decision to team up with Natalie, who I knew was equally fascinated by such locations. Together, we decided to extend our previous research and comprehensively chart Anne’s life through places and artefacts associated with her. And so In the Footsteps of Anne Boleyn was born. It has been a huge privilege to follow in those footsteps, resulting in a book that we believe provides a unique insight into the life of one of England’s most iconic and compelling queen consorts. 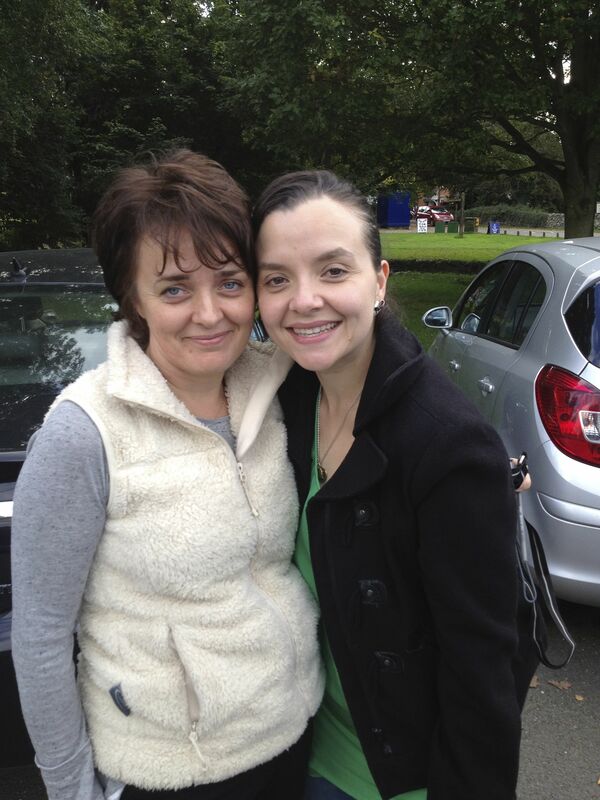 Dr Sarah Morris and Natalie Grueninger co-authors of In the Footsteps of Anne Boleyn, published in September 2013. In the Footsteps is a guide book to all the places and artefacts associated with one of England’s most compelling and controversial queens. I am writing this article for all of you who harbour a secret desire to write and express your passion for a subject that is no doubt close to your heart. It is true that every ‘would be’ creator of prose must face their own unique smorgasbord of obstacles – both real and imagined – in order to deliver the finished article. I do not know yours; but I do know that there were plenty of reasons why my recent publications should never have even been written in the first place. My hope is that in sharing some of my trials and tribulations, at least one of you will realise that there is no difference between us, and that your dream is right there for the taking – that if I can do it, then so can you. First and foremost, although I had a life-long yen to write a book, my goal had steadfastly eluded me for nearly forty years. I certainly did not see myself as an author, and when I began to write the novel that would eventually turn into Le Temps Viendra: A Novel of Anne Boleyn in 2010, it was never meant to be published. It took three months of solid writing before I finally convinced myself that what was flowing from my imagination might be of interest to anyone other than me. This is an important milestone to reach; a shift in how we see ourselves, our very identity. I had to begin to relate to myself as an author. In a way, maybe I was lucky. I never set out to write Le Temps Viendra (LTV), nor my second book, In the Footsteps of Anne Boleyn, which, for me, flowed naturally from the first. I have always said that LTV happened to me, and so I found myself caught up in a miraculous process of creativity that swept me along in its wake. Quite often it felt as though the book demanded to be written, and I was merely a conduit through which the words could flow. But through this, I came to understand a key ingredient for success for both the books that I have written thus far; I felt passionately about my heroine, her story and her innocence. Ultimately, I was seized by an unstoppable desire to tell that story of innocence and play my part in righting the ancient injustice of her judicial murder. It became evident over the coming months just how important was that connection between me and Anne, and my sense of purpose in retelling her story. It would provide the drive and energy that would keep me going, when it might otherwise have been easier to set my work aside and confine it to the ‘too difficult’ pile. In addition, to compound matters further, like many of you, I did not have the luxury of being able to write full-time. The financial reality of life meant, and still means, that writing is not my main occupation. My main work is in running my own business as a leadership coach, requiring me to divide my time between the sixteenth century, and the twenty-first, on a daily basis. Of all the obstacles, I personally find this the most challenging to navigate. It is not just physically about finding enough hours in the day to accommodate the demands of both, but energetically being able to elegantly dance between two very different worlds that require such different disciplines from me; being able to bring right concentration and effort to both is a continual struggle, demanding ruthless discipline and the ability to remain organised. Yet, committing to write a book is no easy task, no matter how organised you are. This is why so many people speak of their desire to publish something, but never actually do it. One of my favourite quotes, that so perfectly sums up my relationship with writing, comes from Pablo Picasso who said, ‘I have put my heart and soul into my work, and have lost my mind in the process.’ There have been times when I literally felt like this was what was happening to me. In the case of both books, I have experienced the intensity of penning a work of fiction and non-fiction, and how success in reaching one’s goal requires not just a modicum of talent, but a fierce, relentless determination to stay the course, a sort of bloody-minded stubbornness to write that last word – no matter what. And for me, there was a cost. Hours of sitting in front of a computer screen during evening, weekends and holiday periods took its toll physically, and I developed what some people call ‘Electromagnetic Field Sickness’. It is something that I have had to work hard to manage, mainly by ensuring that I make time to go outside, in nature. My dog, Milly provides the perfect excuse to get me outdoors, where I can physically regroup and get my energy moving around my body. After I finished In the Footsteps, I desperately needed time of to rest and recover. It had been an intense three years of writing. I have learnt many lessons about being more realistic with what I can achieve, given my innate capacity, and how much I can take on and still remain sane – and well. I suspect I needed to pass through this rite of passage; that this wisdom is borne only from the bloody aftermath of the heat of battle. And so I am taking my time, keeping my writing muscle flexed but giving myself space to allow the creative impulse to emerge once more. But if I were ever asked about what I feel is most important factor in writing a book, it would be that you start, and that you consistently turn up, and put one foot in front of the other, day after day. By doing so, you will eventually reach the summit, and although weary, I can promise you this – it will be exhilarating!